Promoting the Chartered Insurance Professional designation, The CIP Society is advertised through the Insurance Institute of Canada and its many affilliate branches. 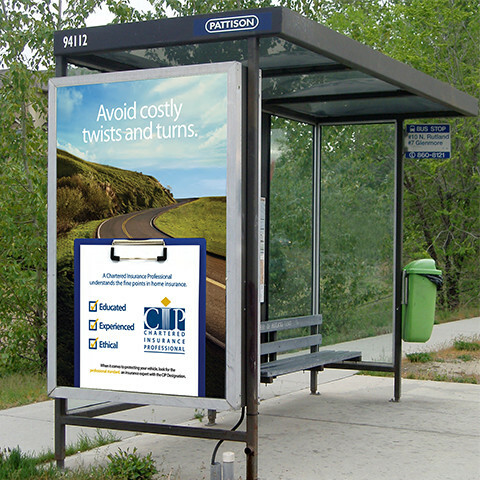 This project was created for bus shelter advetisements in British Columbia. Building upon the CIP brand and using Pattison specs, I created a series of posters for the Insurance Institute of British Columbia. This project was built using Photoshop, Illustrator, InDesign and Acrobat.